Sprint and Dairy Farmers of America (DFA) announced the nine companies participating in the sixth annual accelerator program. The 90-day immersive program launches today and runs through June. Startups in three verticals — 5G Technology, Ag Tech and Dairy Food Products — will work directly with leaders from Sprint, Dairy Farmers of America (DFA), CoBank and other industry experts and mentors to create strategic, long-term partnerships. The Sprint Accelerator program culminates on Demo Day, June 27, in which the startups showcase their ideas. Nodecraft (Oklahoma City, Okla.). Nodecraft is a cloud platform that enables Game Developers, E-sports tournaments, and direct-to-consumer (gamers) the ability to instantly create unforgettable online multiplayer experiences. Portl Media (Toronto, Canada). Portl Media eliminates idle time by providing education and entertainment options to users through a network of strategically placed media and entertainment screens starting off in rideshare cars. Cattle Care (San Francisco, Calif.). 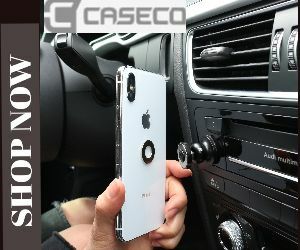 Using low-cost video cameras Cattle Care detects, recognizes and tracks every cow as well as business processes and makes decisions for the farmer about the treatment of a particular cow or a whole barn. Healthy Cow (Toronto, Canada). Healthy Cow is an ag-biotech helping dairy farmers to produce more wholesome, natural, and nutritious milk while simultaneously reducing their dependence on antibiotics and hormones. Labby, Inc (Boston, Mass.). Labby is an AI-powered smartphone platform for food and agro analytics. Brooklyn Buttery (Brooklyn, N.Y.). Brooklyn Buttery is reimagining butter for the 21st century as a fun convenient product for home cooks to turn up the flavor on their dishes using sustainably sourced ingredients. Numa (Bridgewater, N.J.). Numa makes all-natural sweet, chewy milk treats with just six natural ingredients and four grams of protein. RifRaf (Brooklyn, N.Y.). RifRaf offers cool, creamy ricotta cups that are one part cheese and one part unexpectedly delicious flavor. Since its inception in 2014, the Sprint Accelerator has worked with 45 start-up companies. These companies have raised an aggregate of over $36 million since participating in the program. 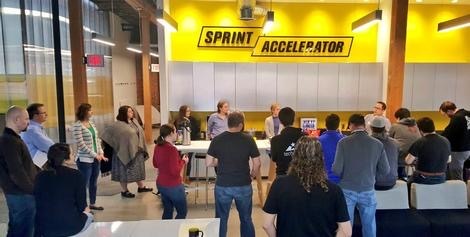 Visit the Sprint Accelerator calendar for public opportunities to engage with these companies at sprintaccelerator.com.